A hip hop and R&B act for from Letterkenny are enjoying national attention after teaming up with Goats Don’t Shave for the GAA Jersey song. Phat Kiidz, aka Jay Kay, (Samuel Kasenga) DoDa (Ndoda Madolo) and Hapz (Happymore Mutyoro) have already seen their star rising as a result of a series of catchy tunes and slick video productions bringing a fresh, contemporary twist to Ireland’s music. Letterkenny trio Phat Kiidz look set to take Ireland by storm and are hoping to secure more live gigs. The trio, who are all in their early 20s, who were all born in different African countries and have grown up together in Letterkenny, paid homage to the town in one of their biggest hits. DoDa has also recently released his own powerful tune ‘One Night In Derry’ with the video shot at night from Ebrington against a backdrop of the Peace Bridge, and with his bandmates involved in the project. And the newly released collaboration with legendary band Goats Don’t Shave for the catchy song GAA Jersey has seen them gain national attention. 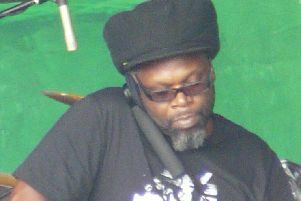 For more info and to book Phat Kiidz for gigs contact them via their Facebook page. The song GAA Jersey is now available on iTunes.